The results from the first quarterly check of the Angler Action Foundation Seagrass Initiative in the Caloosahatchee Rive are back and the results are proving to be very promising. According to divers from Sea and Shoreline, the Angler Action Foundation’s partner on this project, more than 95 percent of the plantings in two of the three areas survived the initial installation and are beginning to thrive in their new surroundings. All three areas showed new growth outside of the exclusionary devices used to protect the grasses during their infancy. Sea and Shoreline personnel reported new growth on the original grasses, some with as many as six new shoots expanding from a single planting. Plants that were planted with blade heights of less than 4 inches were shown to be reaching the tops of the exclusionary devices. Plants were seen with active flowering blossoms and even expanding outside the cages. 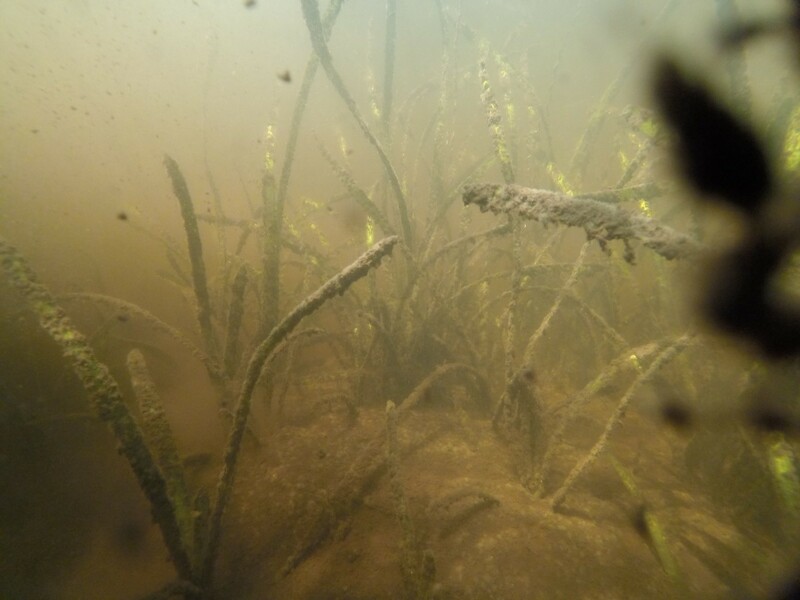 About 20 acres of seagrasses (Vallisneria americana and Ruppia maritima) were planted in an area of the Caloosahatchee that has been devastated by freshwater releases from Lake Okeechobee during the past few years. The grasses were planted and then covered by GrowSAV Herbivory Exclusion Devices by Sea and Shoreline. The exclusionary devices are, basically, cages that sit over the plant and keep out herbivorous predators such as manatees and turtles, allowing the grasses to take hold and bloom. During the first quarterly check-up of the project in March, Sea and Shoreline divers used stiff-bristled scrub brushes to rid the cages of algae and other marine detritus that has accumulated during the first three months. All the cages were found to be intact and undamaged. There was evidence of herbivorous grazing on the unprotected plants but that was expected. Sea and Shoreline reported seeing an adult manatee with a calf twice, as well as another adult during its three days on the site. The Angler Action Foundation Seagrass Initiative is the first phase in the foundation’s mission to replace lost marine habitats across the state. This $1 million project, funded by the Department of Environmental Protection, is centered around three sites, two east I-75 and one west in the Caloosahatchee River. 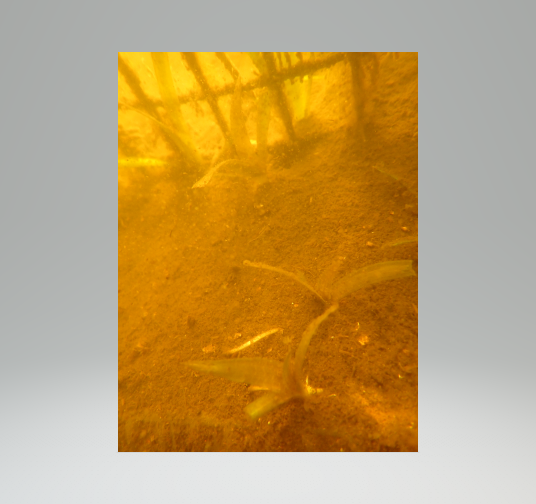 Those sites feature a seagrass that is tolerant to freshwater and a freshwater grass that is amenable to brackish water. -Written by Mike Readling, Chairman of the Angler Action Foundation. Photos courtesy of Sea and Shoreline, LLC.